The library curriculum is strongly literature-based, and skill-building is usually embedded within our discussions and activities. The librarian has referred to the Pennsylvania Department of Education’s “Model Curriculum for Pennsylvania School Library Programs” and the American Association of School Librarians’ “Standards for the 21st Century Learner” for guidance when developing The Library Curriculum Scope and Sequence. The Clisby Library resides in the heart of the campus, and is a central meeting place for students, staff and the larger community. The collection is approximately 13,000 volumes of books that support the individual learning needs and curiosities of the students, as well as the teaching needs of classroom teachers and specialists. It is typical to see the library filled with students during lunch choice: looking for books, reading, playing games, and drawing. Staff and community members hold meetings, open houses, and other special events in the library. 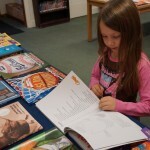 The library serves as a homework center during after-school program hours. At present, the library provides laptops to students for research, writing, and the creation of digital content (using the online programming tool Scratch, for example). The library also loans out these laptops and other media (projector, digital cameras) to classrooms as needed. 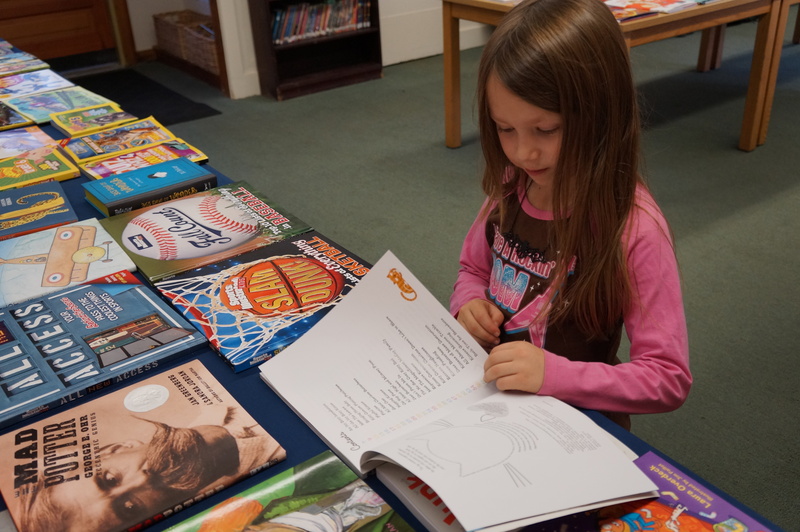 There are many extracurricular activities associated with the library as well, including a large annual book fair fundraiser, a monthly book club for fifth and sixth grade students, and supporting the sixth graders in the creation of a yearbook. The curriculum report is the teachers’ review of the entire year, looking back and making observations after their plans, projects, problems, and revelations are long over. One of the distinguishing features of this report is the great extent to which each teacher’s style, focus, and personality come through in this retrospective narrative. Check out the Library Curriculum Report.